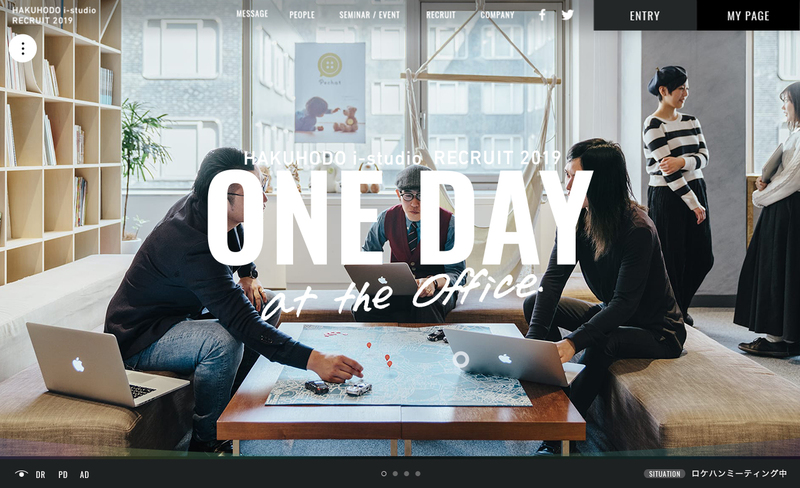 HAKUHODO i-studio recruit website ONEDAY at the office It is challenging to raise number of applicant since our job is hard to imagine in detail. To achieve this goal we launched website that visitors can learn about us through virtual experience using 360°View. As a result applicants increased by 20%.